Check your visa requirements! At Nacel English School, we want to ensure you have everything you need for a successful and enjoyable period of English language study. Therefore, we have prepared some useful information for you to read before you come to study English in London at Nacel English School. Immigration officers evaluate whether you are a serious student and will check that your documentation is in order. They wish to ensure that you will not need to work and have sufficient funds for your planned stay in the UK. You will be required to present the official documentation issued by the School with your accommodation details. You are required to have a valid passport and visa (if required). Your local British Consulate office will be happy to advise you on your visa requirements and how to apply. Please ensure your passport is valid for your entire stay. If you are a citizen of a country in the European Union or the European Economic Area, or of Switzerland, you do not need a visa to enter the UK. However, if you are from any other country you will require a visa to enter the UK. Please click here to view a list of Visa National and Non-Visa National Countries. You can find out more about these visas on the UKVI website. If you are 18years old or over, a student visa enables you to study in the UK. To apply you will need to gain 40 points. This includes 30 points for a “Confirmation of Acceptance for Studies” (CAS) from the School, and the remaining 10 points come from demonstrating that you can afford to cover all your fees and living costs in the UK. To study at Nacel English School you will need to show £820 maintenance money, for each month of your English Language Course, up to a maximum of nine months. This should be evident on your bank statement. A Tier 4 (General) student visa costs £322 when applying from outside the UK. The minimum level of Englsh langage study is set o the Commn European Framework of Reference (CFR) for Langage level B2. A Tier 4 student is not permitted to work in the UK and will need to study a minimum of 15 hours per week; lessons can only be between 9am – 6pm, Monday – Friday. A Short term study visa enables you to study English in the UK for up to 6 months (or 11 months ). With a Short-term study visa you cannot extend your stay from the UK, you must return to your country and re-apply from there. There is no level requirement for this visa, therefore students are not required to take a SELT ( Secure English Language Test). This visa does not permit a student to work in the UK. If you are a visa national you must obtain your visa before you leave home for a fee of £85 (6 month visa) or £162 (11 month visa). Non-visa nationals can get it free on arrival at the airport. However, it might be better for you to apply from your country – it is not essential but it could reduce the risk of you being refused entry. The information above is designed to give a brief introduction of the UK Visa System. The regulations change quickly therefore we cannot guarantee that the information above will always be completely up-to-date. We recommend you check with your local Embassy or Consulate for the latest information. Please click here for more information on Visas. a). Passport – We need your passport to issue you with an accurate visa letter. b). 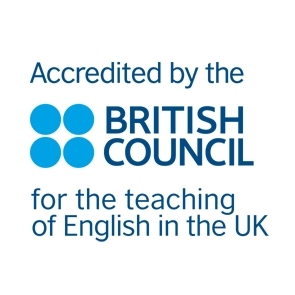 Send proof of your English Level (For Tier 4 Students) – If you would like to apply for a tier 4 General Visa, you will need to send us your English exam certificate to show that you are currently at a B1 Level of English (on the Common European Framework of Reference) and that you are able to start a course at B2 level. 2). Once we have received the above documents we will need to evaluate them and then arrange a skype interview in order to ensure the course of your choice is suitable for your needs. 3). We will issue you with an invoice and then you will be required to pay your programme fees. You must pay all your fees in advance. We cannot issue any visa supporting documentation until you have done this. 4). Depending on your required visa, we will issue you with a CAS Statement or a letter to support your visa application. Once you have received your visa and booked your flights, please inform us of your arrival date and flight details. If for some reason your visa is refused, providing we receive official documentation from the British Embassy or Consulate confirming this, we will refund you in full; with the exception of £250 administration fee and the course registration fee (The CAS fee is non-refundable). 5). We look forward to welcoming you to Nacel English School! We suggest that you bring some of your money in Sterling Travellers’ Cheques as well as some cash for the first few days. It is possible to change money at banks, post offices and bureaux de change, all nearby the School. It is advisable that you ask your bank for their correspondent bank in London, as this information may be useful. London is famous for many things, one of them being its changeable weather. It can go from bright warm sunshine to cold heavy rain in a matter of hours. Therefore, we suggest that a jumper, waterproof jacket and an umbrella are essential items! It is also a good idea to have comfortable walking shoes, as there are many places to visit and explore. The maximum temperature in summer is usually 30°C, and in winter the minimum temperature is 0°C, although it can get colder at night time. Therefore, in the winter months, we recommend you bring a warm coat, scarf and gloves. You should ensure that anything you bring to the UK, such as a hairdryer, etc, is compatible with the UK 3 pin 240V AC 50Hz electrical supply. EC equipment will work with a travel adaptor, which is widely available. We advise students to buy a copy of one of the London Street Guides such as ´A-Z´.